How do I create groups at the account-level? Creating groups at the account-level is similar to viewing groups at the course-level. 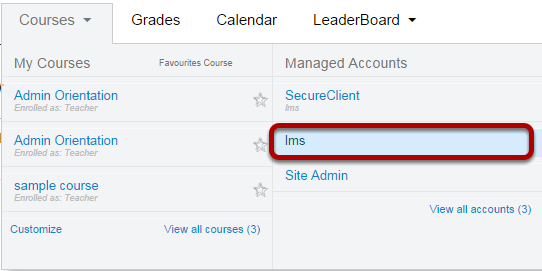 The groups created at the account-level will still show up in the Courses & Groups menu in the Global Navigation menu. You can also created groups at the sub-account level. 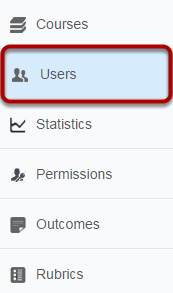 Find and click the View User Groups button at the side bar . View the different types of Groups (admin, Teacher, student, and TA) . Click the gear icon to Visit Group Homepage . Click the + Group icon to search and add users to groups. Note: Once users have been added, you can use the drag and drop feature to re-assign users to another group. If you have admin groups, they will show up under the Admin Group - 1 tab. To add a new group, click the + Group button. Note: The group is created in the tab you currently have open. For example, a new group is added to the Admin Group tab when you click the + Group button while that tab is open. Type in a name for the Group Name and click the Save button.